Thanks to YOU, I learned that they DON'T MAKE CHIPWICHES ANYMORE. They do, and there's this amazing website to go along with it: http://chipwich.com/chipwich/index.htm. 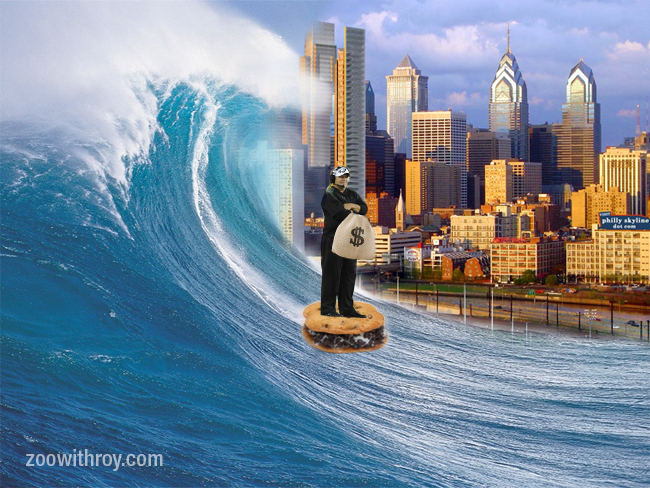 I hope the wave carries him right out of the city, too. When you're asked if coaching in Philly is your dream job, your first answer should be "yes." Dude, just lie. But you're not going to win any fans with answers like that and jokes about booing Santa. I like the tall weird building in front of the comcast center that doesn't exist.